Are you looking for a SEO company that will deliver profitable traffic? We are experts in everything from SEO, PPC, and CRO to Social Media, Reputation Management and Web Development. We offer a comprehensive and holistic range of SEO services, and our only interest is getting your website to the top of the search rankings and keeping it there. How can we do that? By bringing together a team of the very talents in site development, link building, analysis and SEO content creation, and by constantly striving to be the very best at what we do. Link Building or Outreach as it is now known is constantly evolving. The Internet, as the name suggests, depends on the linking together of all its component parts – individual websites and pages. Links help web users find related information, and for this reason search engines put a lot of stock in how many other websites link to yours, and more importantly which websites are linking to yours. Search engines can provide geo-targeted results to consumers now to help improve their overall browsing session. Creating a campaign to tackle those results is called “Local SEO”. Assistance to Internal Teams: Many larger companies today have online marketing teams in place to handle all of their SEO work. We help to enhance your team’s efforts by offering the details necessary to help implement a solid approach that will help improve your company’s rankings. These services work best for companies that already have the resources to put a plan in place but don’t always have the knowledge necessary to build that plan at the outset. Assistance During Site Updates and Redesigns: Updating your site these days is an absolute must. A fresh look with additional content and features can do wonders for your business, but it can also destroy your rankings. We can help ensure that doesn’t happen as you work to redesign your site. Assistance with New Ventures: Whether you’re creating a new division of your company or you have a brand new enterprise, we can help offer you the strategy you need during the development phase. We’ll provide an analysis of your competition as well as a strategy to help you move forward. Services like these can help you keep costs to a minimum while helping to maximise results. There are so many different aspects to good optimisation, and several of them aren’t readily viewable to visitors. Sure, you can see some SEO efforts like the URL, headers, and keywords within the body text, but others aren’t quite as easy to see like site speed. That doesn’t, however, mean that they’re not just as important, and we’ll work to cover every aspect of SEO to meet your needs, including technical SEO. Paid Search marketing is the process of advertising within the sponsored listings of a search engine, partner site or Social Media platform. The service is usually paid for each time a user clicks on the sponsored advertisement (pay-per-click/PPC) or when the advertisement is displayed (cost-per-impression/CPM). Paid search is immediate in nature, your ads can be on page one of search engines within hours. Paid search can be highly effective if managed correctly. Costs can be controlled, sales tracked and revenue attributed easily. Why Let Us Handle Your PPC management? Our focus is on your ROI. We are not interested in spending more and more of your money chasing traffic which does not convert. From the outset we will focus on your business and work closely with you to ensure your account is optimised to bring in sales and leads which lead to revenue. If you already have a Google Adwords PPC account running on auto-pilot or even if you are working with another agency, contact us for a confidential review. We will perform a health check and give you an honest opinion based on our findings. Remarketing allows you to show ads to people who have previously visited your website or used your mobile app. When a visitor (potential customer) leaves your website without buying anything or completing an enquiry form, for example, remarketing helps you reconnect with them. This is done by showing relevant ads to them as they browse the web, as they use mobile apps, or as they search on Google. Dynamic remarketing includes the products or services that people viewed on your website within the ads they are retargeted with. Dynamic remarketing requires additional technical steps such as adding custom parameters to your website’s tag and creating a feed. However it can deliver much better results by delivering highly targeted ads to your potential customers. Social media marketing continues to grow in importance for businesses and is something no business with an online presence can afford to ignore. As a marketing channel it is still in its infancy. 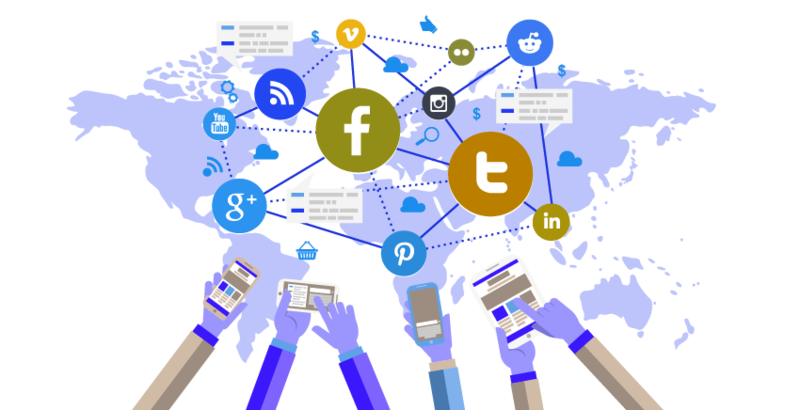 To ensure that your business is socialising with the right people and in the right way, you need your social media marketing to be handled by a professional agency that understands not only social media, but also your business and its customers. Why should businesses use social media? But the ubiquity of social media is not the only reason why businesses should care about it. Google and other search engines are rapidly integrating social media with their search functions. One prime example of this is the incorporation of Google+ features such as the +1, into the natural search results. As time goes on, current trends suggest that social media marketing and search engine optimisation will become inextricably linked. Websites which bring in masses of traffic and climb to the top of the search rankings rarely just ‘happen’; they have to be positioned there. Web development broadly describes this process of crafting and developing a website to reach its full potential. We take a holistic approach to web development which incorporates all its aspects, from coding and mark-up to web design and content. Our dynamic team of experienced professionals will work together to develop your site so that it not only ranks highly in the search engine results pages, but genuinely delivers the best possible experience to users. No matter how large, or small, your company is, we can work with you to make your website the best it can be and get it where it belongs. Whether you’re a multinational corporation with an established online reputation, or a sole trader who has recently launched online, we can tailor solutions specifically for you. Of course, we understand that different types of businesses also have different requirements; you may require an e-commerce orientated site, an information hub, or simply a site to act as online portfolio to show off your services. Whichever you need, we can assist. Because we’re a full service SEO web development agency, we can not only deal with the more technical and architectural planning aspects of site development, but also the creative side of SEO. Our skilled SEO copywriters can create compelling content which will capture the attention of web users, while at the same time helping your website to rank highly for its chosen keywords.